It has variable resistant, adjustable current stream, the thigh/abductor jets for lower body massage and resistance exercises and two hydrotherapy massage seats. The AquaTrainer is a pool, spa and aquatic gym all-in-one. 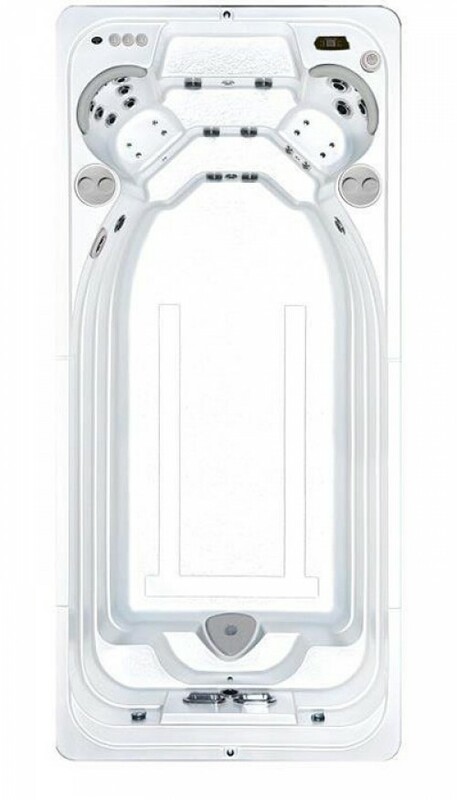 This swim spa is a fiberglass reinforced acrylic one-piece mini-pool that allows you to swim, jog, exercise or play. It needs less space, costs less money and requires less maintenance than a conventional pool. Adjust the current from a gentle front crawl to a 1:02 hundred-meter swim pace a challenge for even a competitive swimmer.